Indonesian President Joko Widodo’s visit to Australia marked a significant leap forward for a bilateral relationship characterised by its fluctuations. The reduction of restrictions on some exports between the countries and the full restoration of defence cooperation after January’s bump in the road are indicators of the ‘robust relationship’  between Australia and Indonesia that Jokowi described in Sydney. For both Indonesia and Australia, maintaining neutrality and navigating that fine line between China and the United States remains a first-order priority. Although reports of potential joint TNI-ADF patrols in the South China Sea surfaced  last week, they remained absent from the official joint statement —likely due to Indonesia’s concern over the message that partnering with a US treaty ally would send to China. But such reports, as well as the importance both leaders placed on maintaining peace, security and stability in Southeast Asia, indicate the extent to which strategic competition between the US and China is being felt across the region. 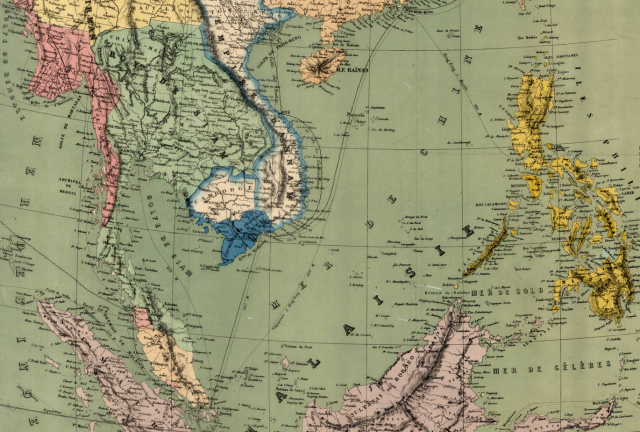 Southeast Asia finds itself at the heart of the US­–­China rivalry, which has placed greater strategic weight and heightened attendant stresses on the Association of Southeast Asian Nations. ASEAN member states now face a dilemma over collective action that challenges not only perceptions of ASEAN’s efficacy but also Southeast Asia’s overall security. How those states and other interested actors—including the People’s Republic of China, the US, Australia and Japan—choose to act will shape the region for decades to come. The most significant factor in ASEAN’s failure to make concerted progress on security issues is its core principle of consensus-based decision-making. As a result of the association’s significant growth in membership over the 1990s, reaching unanimous agreement on sensitive political issues has proven increasingly elusive. While some of that difficulty stems from the simple problem of reaching consensus within a wider membership, in large part it’s also due to varying levels of Chinese economic support to individual ASEAN states. Those difficulties have been glaringly evident in efforts to resolve competing territorial claims in the South China Sea—an issue that has clearly stretched ASEAN’s capacity to take a unified, concrete stance on a common security problem. Its failure to speak and act with one voice on those disputes has major importance, as they directly relate to the PRC’s rise and increased assertiveness in the Asia–Pacific. The US, Australia and Japan have all been active in seeking to curb Beijing’s influence in Southeast Asia. While the three countries recognise the inevitability of China’s heightened status, they appear to share a common concern that, if left unchecked, China could achieve its goal of overturning the regional status quo. If ASEAN can’t be relied upon to act as a forceful collective body to address threats and concerns associated with a more outwardly aggressive China—and in the absence of the emergence of a network of like-minded, activist states (of which there’s currently no sign)—it’s essential that the US, Australia and Japan further develop and consolidate strategies that go beyond ASEAN for achieving their security and economic interests in the region. In our Strategy report released today, Tiptoeing around the nine-dash line: Southeast Asia after ASEAN , Peter Chalk and I examine some possible tactics those three countries could employ to accomplish their goals. Of course, the distinct lack of clarity surrounding the new US administration’s perception of the Asia–Pacific is a prominent theme throughout the report, and one of the main variables that both Australia and Japan must contend with. While the absence of a unified ASEAN means that the US will have little choice but to return to its traditional policy of interacting with Southeast Asian countries on a bilateral ‘hub and spokes’ basis, Australia and Japan must shoulder the additional burden of drawing the attention of America’s transactional leader back to Southeast Asia should it waver. Those include forging ties at senior levels with the Trump administration early into its tenure, staying firm on the defence spending target of 2% of GDP (for Australia) and committing to a small increase in host-nation support funds (for Japan). Realistically, the only country able to actually act as a credible and forceful counterweight to China is the US. As such, it’s essential that President Trump and his close advisers are convinced early on that they can play a leading role in Asia and develop a proper, effective working relationship with Beijing. Due to ASEAN’s consensus-based decision-making, it’s likely that we will continue to see its inaction on regional security issues, particularly those that relate directly or indirectly to the geopolitical struggle taking place between Washington and Beijing. As Peter and I argue, it will become increasingly important, in this contested environment, that countries sharing the experience of striking a fine balance between the US and China use every opportunity at their disposal to bolster their bilateral relationships. Amelia Long is a researcher at ASPI and an editor of The Strategist. Peter Chalk is an adjunct senior political scientist with the RAND Corporation in the United States. Their Strategy report, Tiptoeing around the nine-dash line: Southeast Asia after ASEAN, was published today. Edited image courtesy of Flickr user manhhai.